Our activities across the UK are explained in the Our work in the UK section of this website. 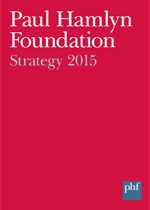 You can also download the strategy document from the link on the right. Paul Hamlyn Foundation Chief Executive, Moira Sinclair, announced a number of new appointments to ensure the Foundation is best placed to deliver its new strategy. A series of articles about new approaches to young people’s mental health have been released, drawing on the evaluation and experiences of the pioneering five-year Right Here project funded by Mental Health Foundation and Paul Hamlyn Foundation. You may have noticed that we've changed our website. We think it will serve applicants and grantees better and help us to share what we are learning more effectively. 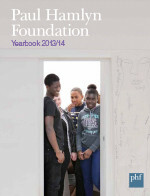 The final report from a PHF grant to the New Economics Foundation (NEF) has detailed a range of outcomes from its Transforming Youth Services project. An initiative to encourage openness in UK philanthropy launches today at an event at NESTA. The first ever UK Evaluation Roundtable was jointly run by the Institute for Voluntary Action Research and the Center for Evaluation Innovation on 25 and 26 March. Alliance Magazine held a breakfast event at the PHF offices in King's Cross, London, on Wednesday 19 March. Over the past four months, the Foundation has been taking suggestions on what to do next from different people and organisations.